If we talk about the crossover problem, then one manufacturer who actively spawn the product with this model is Suzuki. Still remember with bold steps Suzuki enter Suzuki SX4 X-Over a few years ago? Then followed by Suzuki SX-4 S-Cross some time ago and Suzuki Ignis in the middle of this year. And now, in Japan there is one more crossover product that is Suzuki XBee (Read: Cross-bi). Actually this is not the first time we discuss about this one car, before at the end of September 2017 ago we had discussed it as a concept car that was present at Tokyo Motor Show 2017. 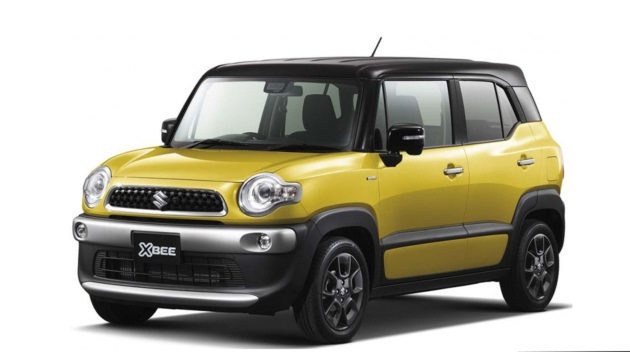 At this time the Suzuki Japan has not confirmed whether it will mass produce Suzuki XBee or no, because the front shape, this car is quite similar to Suzuki Hustler. But indeed from the side to the back of both cars is quite different. And finally, after 3 months, the Suzuki Japan provide certainty with the release of Suzuki XBee for sale freely. In stature, Suzuki XBee has a length of 3.7 meters, with a width of 1.6 meters, height of 1.7 meters and also the distance of the wheel axis 2.4 meters. Suzuki XBee built on the latest platform of Suzuki Heartect. Like other small cars in Japan, Suzuki XBee is equipped with two driver options, either two or four wheels. All will be given a two-trim option that is MZ and MX. The engine used by Suzuki XBee itself is a K10C engine that has a three-cylinder configuration, but uses a turbo. In addition to Turbo, this machine also has a mild hybrid system as well. With both technologies, the Suzuki XBee is capable of producing 99 PS power at 5,500 rpm and 150 Nm of torque at 1,700 rpm - 4,000 rpm. The hybrid mild hybrid system of the Suzuki XBee itself produces less power, only 3.1 PS at 1,000 rpm, but the torque is quite large, which is 50 Nm at 100 rpm, 100 yap instead of 1000 rpm. Power and torque of the mild hybrid system is only used as power and torque help only, my friend. The engine of the Suzuki XBee itself is paired with an automatic transmission with six acceleration, wow. 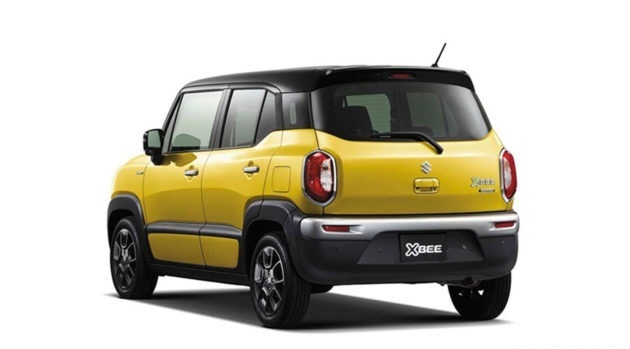 For the 4WD version, Suzuki XBee is equipped with two modes of driving, sport and snow. In addition, there is also a grip control feature that will keep the car when it will accelerate in the muddy streets or slippery road, nice. Some other supporting features are also provided in this Suzuki XBee, such as hill descent control, 360 degree camera with 3D view, and the Suzuki Safety Support package covering dual sensor brake support (DSBS), collision-mitigating system, and back-up brake support reverse traffic alert system. This new safety package itself was first given in Suzuki's compact car, so Suzuki XBee became the first. 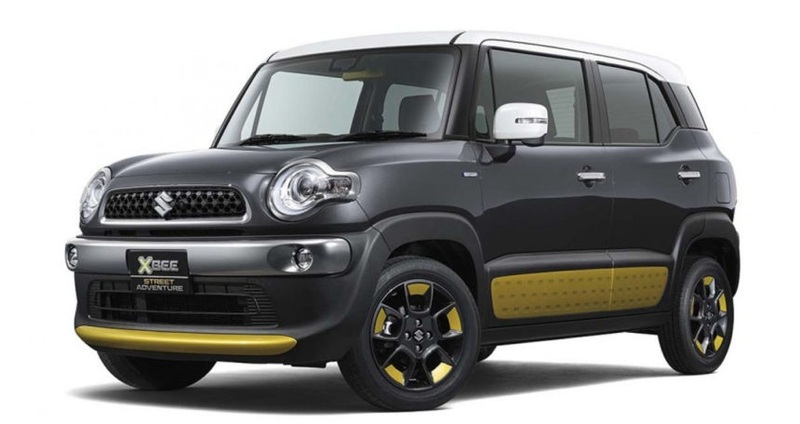 Suzuki XBee will also come with a wide customization to suit the tastes of consumers, both trim and interior panel options, up to a wide exterior color scheme. 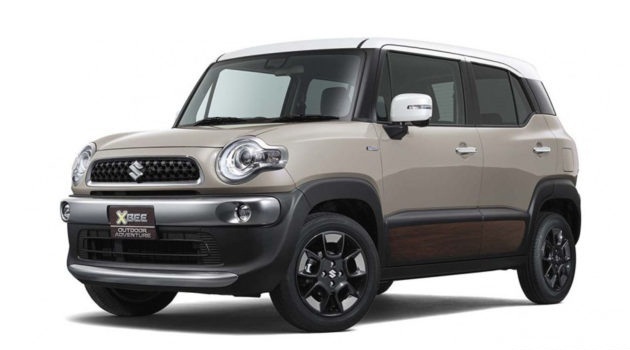 This car could be an alternative for those who want to have a car with a fascia like the Toyota FJ Cruiser but a mini version. How do you think this car? Come to your opinion buddy. 0 Response to "Suzuki XBee: New Suzuki Crossover Wagon in Japan"